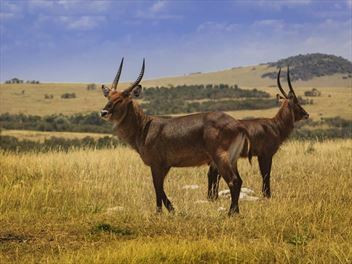 Enjoy a stress-free all-inclusive holiday in Kenya. 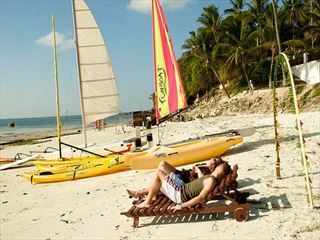 We have a range of superb all-inclusive hotels in Kenya, found on the beautiful shores of Mombasa and Malindi. 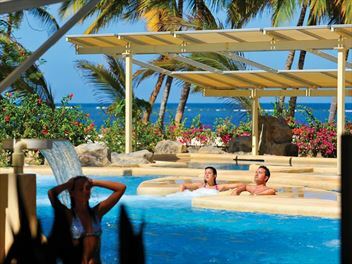 Relax and sunbathe in complete scenery as you indulge in an unforgettable holiday. As a member of the "Small Luxury Hotels of the World" this five star all-inclusive hotel is located on the stunning coastline of Malindi and offers exclusive service, peace and tranquility to all guests. 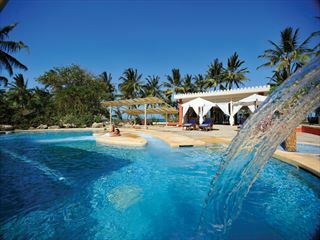 Relaxed, elegant and exotic - Kinondo Kwetu is exactly what you'd hope for from a beach resort on Diani Beach in Kenya. 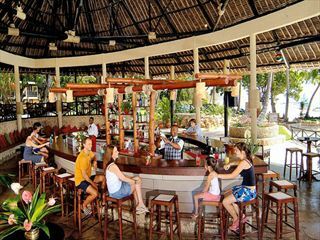 Enjoy the amazing views, the attentive nature of the staff and the tropical surroundings. One of Kenya’s most popular and family-friendly hotels, the all-inclusive beach resort overlooks the stunning white sands of Nyali Beach. You'll find lots of lively nightly entertainment here, as well as show-stopping views and fabulous water sports. 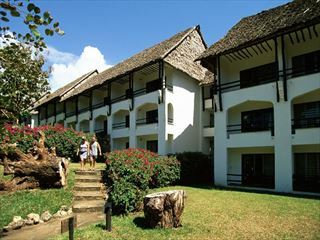 Located on Diani Beach to the south of Mombasa, the Baobab Resort and Spa is a friendly hotel which offers guests a wide range of amenities at excellent prices. 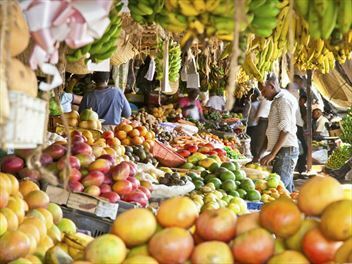 Sandies Tropical Village is located along the whitesands of Malindi, offering peace, tranquillity and excellent service to all guests. There's ample opportunity to get into the water and enjoy some fun watersports, too. 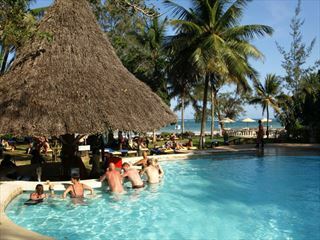 This all-inclusive, south coast hotel is great value for money offering fun for all its guests. 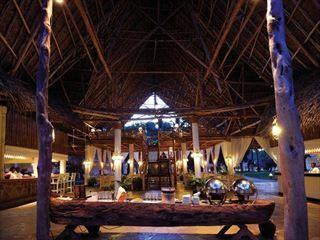 Decked out in authentic Swahili decor and boasting lush gardens, this is a naturally stunning hotel to relax in. 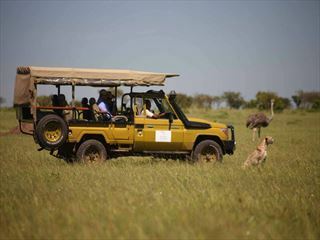 Our Kenya Beach and Tsavo Safari package offers incredible value for money. 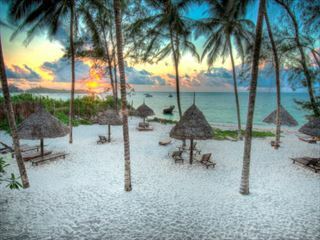 You will enjoy the famous white sands of Diani Beach at Papillon Lagoon Reef on an all-inclusive basis with a two day safari experience in Tsavo East National Park. 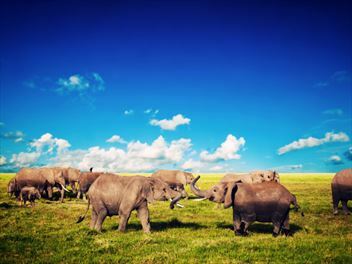 Venture into two incredible landscapes with this fantastic twin-centre holiday. 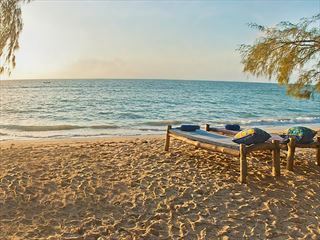 After enjoying a five day safari in beautiful Kenya, you'll fly to Mauritius for a relaxing all-inclusive holiday at a stunning beachside resort.